If you want to learn a closely guarded secret for achieving near miracles with a deck of cards, this is the book you want. It teaches you over 30 different ways of imperceptibly switching a deck: start with an ordinary, shuffled deck, switch in a gaffed deck and perform an extraordinary effect, only to end once again with an innocent deck you could even give away. 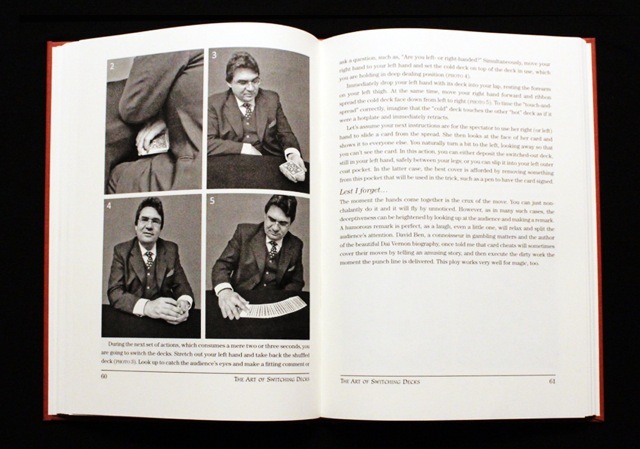 The deck switches taught are neither pipe-dreams nor knuckle-busting impossibilities, but smartly disguised procedures, strategies and even strong tricks, in the course of which the deck is switched. No gimmicks of any kind are used. These are the actual no-frills methods used by professionals who do not take risks. Everything is described in minute detail, taking into account real-world performing situations – most of the deck switches can be done standing up and surrounded, and there are even a few methods, which you could do in your swimming-trunks! 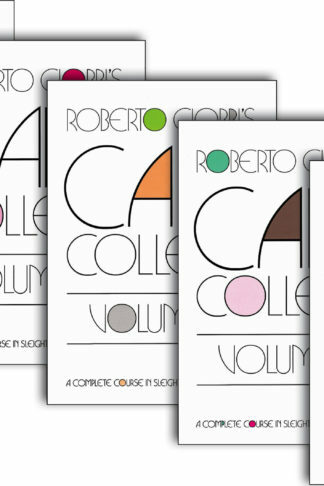 There is no other book devoted to this important topic—and it holds information that will be of tremendous value to beginning and advanced card magicians alike. 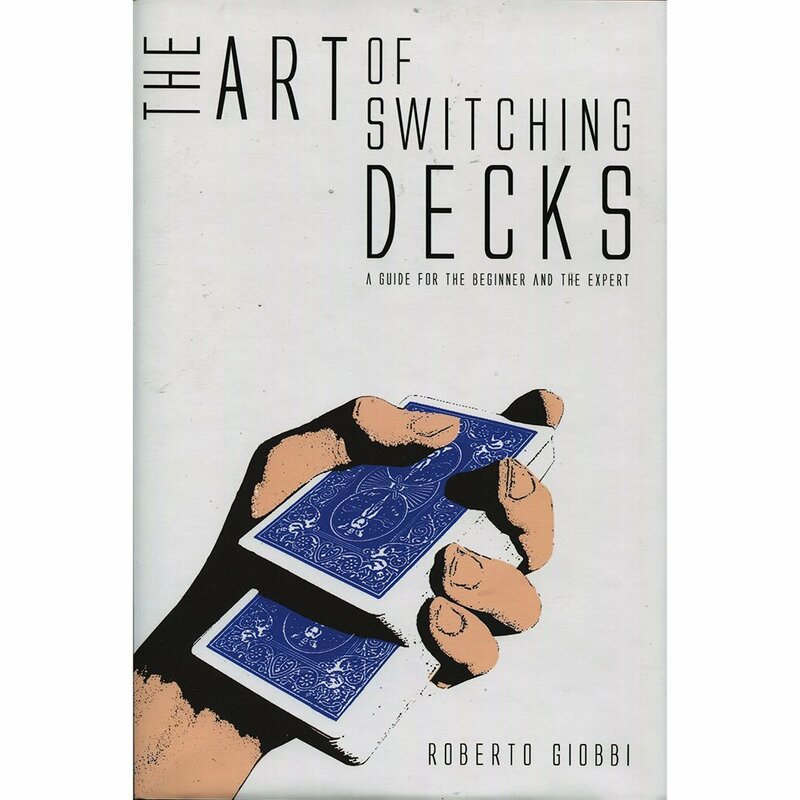 The Art of Switching Decks is an in-depth study teaching over 30 deck switches and a few remarkable tricks—163 pages in hardcover, PLUS a 80-minutes DVD with Roberto Giobbi’s lecture on the subject at the Genii 75th Anniversary Convention 2012 in Orlando. 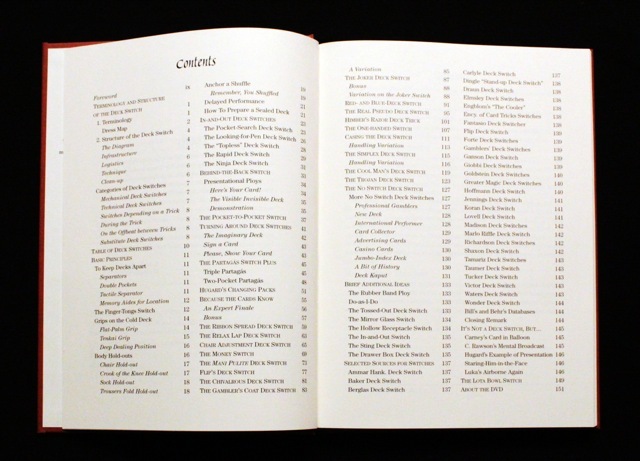 The strongest card tricks most often depend on a stack or special deck. Unfortunately, if you start with a gaffed deck, as soon as you have accomplished the impossible feat, its very strength causes audiences to say, “Let me see those cards!“ With a deck switch, they can, because you just switched the gaffed deck for a normal one, which they can even take home! A deck switch can also allow you to start with an ordinary deck, convince everyone it’s you and not the cards causing the magic—then you switch in your gaffed or stacked deck and unleash a stunning effect. Deck switches can create extraordinary, incomprehensible effects—as long as the switch isn’t detected or suspected. And there lies the challenge. Everyone knows about switching decks. 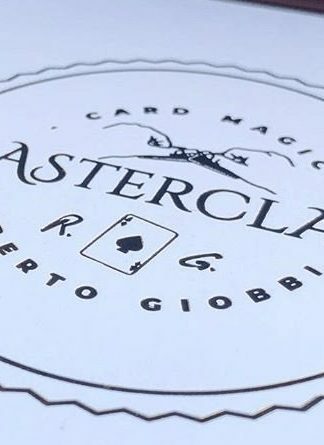 We’ve all heard that card cheats do it, and magicians. In reality, though, very few magicians switch decks, because it is commonly perceived as too difficult to get away with. And since everyone knows about switching decks, even a suspicion that a deck switch might have occurred can completely undermine a performance. Therefore, if you use any deck switch, it must be not only imperceptible, but also unimaginable. Roberto Giobbi teaches you precisely how to do this—standing, seated, with and without a jacket—using shrewd psychology, not knuckle-busting sleights or special gimmicks or apparatus. The only things required to do these professional switches are decks of cards and your pockets. 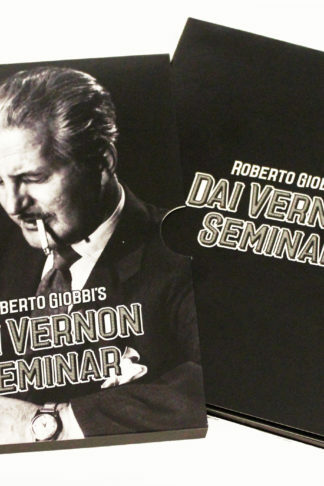 Giobbi teaches dozens of methods for imperceptibly switching decks, along with the psychological principles behind them; principles that allow the reader to apply and modify deck switching techniques to suit any circumstance. And along the way, Giobbi explains some very strong card magic. 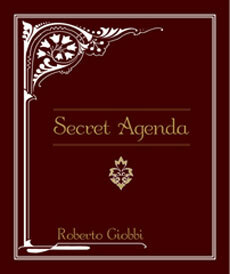 As is expected from Roberto Giobbi, the techniques and tricks in this book are not pipe dreams. They come from his professional repertoire, sharpened by hundreds of performances and explained with all the detail only a world-class teacher can bring to a subject. 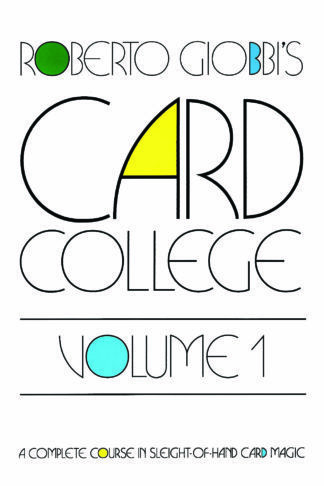 There is no other book devoted to this important topic—and it holds information that will be of tremendous value to beginning and advanced card magicians alike. 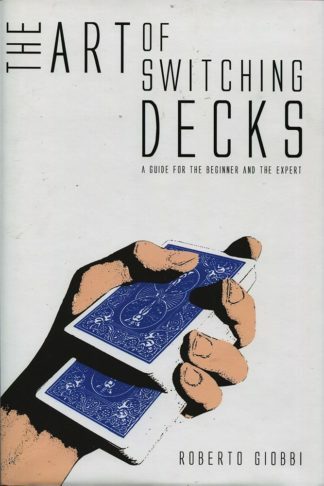 The Art of Switching Decks is an in-depth study teaching over 30 deck switches and a few remarkable tricks—163 pages in hardcover. 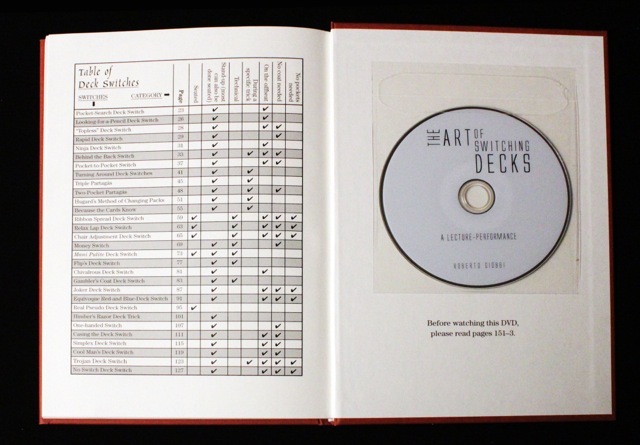 ALSO INCLUDED is a DVD offering an eighty-five-minute show and lecture Roberto Giobbi gave at the legendary 15 Years Genii Convention in Orlando, showing exactly how various deck switches are achieved in a live performance.